Providing advanced tools and resources to the private sector to strengthen the fight against TB in Russia. This USAID-funded project aims to harness the skills and core competencies of the private sector to effectively combat tuberculosis. This will be achieved by providing the private sector with up-to-date tools and expertise on TB, and by leveraging corporate resources to address TB and TB/HIV co-infection. Key elements of the project include: developing a selection of accessible sources of information on TB for Russian population; (including a public service announcement (PSA) campaign in the national and regional media); strengthening internet resources on TB; raising awareness of TB best practices among corporate leaders and empowering companies to implement workplace TB awareness and education programs; and strengthening the capacity of the Russian government to implement the National TB Program. Eli Lilly and Company, incorporated in 1901, discovers, develops, manufactures, and sells products, in one business segment, pharmaceutical products. The Company also has an animal health business segment. It manufactures and distributes its products through facilities in the United States, Puerto Rico, and 15 other countries. Its products are sold in approximately 130 countries. 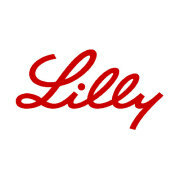 Lilly Bio-Medicines comprise the largest of Lilly’s five business areas in terms of sales, and account for nearly half of Lilly’s mid-to-late stage pipeline assets. This business unit is unique in that it focuses on multiple therapeutic areas. Lilly Diabetes remains committed to meeting the needs of people with diabetes from medicines to support programs, including investments in one of our largest diabetes' pipelines ever. A global division of Lilly, Elanco works to develop and market products that improve animal health and protein production in more than 75 countries across the globe. We work to deliver innovative medicines that address unmet needs around the world. More than 6,000 employees in 30 Lilly affiliates work across the 70 countries that make up Lilly's Emerging Markets business. As one of the top 10 oncology companies in the world, Lilly Oncology focuses on speeding innovation and improving outcomes for individual patients, and boasts one of the largest clinical pipelines in the oncology industry. Lilly’s vision is to make a significant contribution to humanity by improving global health in the 21st century. This vision guides our work and our commitment to corporate responsibility. At Lilly, corporate responsibility is defined as the comprehensive efforts we undertake to help address a specific set of societal issues. Improving Human Health for Those in Need - The main area of focus of the Lilly Foundation is to improve the lives of people — primarily those living in low and middle income countries — who lack the resources to obtain quality healthcare. The Foundation collaborates with effective global and local partners to address complex problems and differentiate our work, in part, by an unwavering commitment to delivering long-term results. The Foundation principally supports Lilly’s long-standing efforts to battle multi-drug resistant tuberculosis. The Foundation also provides targeted philanthropic support for hunger relief in conjunction with Elanco, Lilly’s animal health division. Improving Public Education - The Foundation supports results-oriented programs and organizations that strengthen public education. The Foundation’s geographic focus is Indiana, the site of Lilly’s corporate headquarters and largest R&D footprint. They have two primary areas of focus: Improve student performance in science and Improve educational outcomes for underserved students. Indianapolis: The Foundation supports select cultural and community development organizations and projects that meaningfully enhance the quality of life in Indianapolis. Organizations and projects that distinguish Indianapolis on a national or international basis are best positioned for funding. Employee Directed Giving: The Foundation matches employee donations to charitable organizations worldwide. This includes our long-term commitment to the United Way. Employee directed giving accounts for approximately 40% of the Foundation’s annual donations to charitable organizations.